Peri Karslioglu ’16 was looking for a senior capstone project when she came across a listing for the NASCAR Diversity Internship Program. She never imagined where it would eventually take her. Karslioglu, of Fairfax Station, Virginia, was one of 26 students selected nationwide to participate in the summer program and quickly learned all about America’s favorite spectator sport. The opportunity also led more recently to a permanent position with the organization as a marketing coordinator. As she initially searched for internships last spring, Karslioglu saw the listing for NASCAR and spotted the posting specifically for the NASCAR Foundation, which offered both marketing and event opportunities. 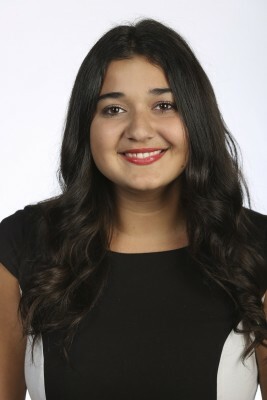 “I wasn’t sure which area I wanted to focus; therefore I thought this would be the perfect opportunity to try both,” says Karslioglu, who graduated in August with degrees in sport management from the Falk College of Sport and Human Dynamics and communication and rhetorical studies from the College of Visual and Performing Arts. The NASCAR Diversity Internship Program is a 10-week, paid internship that brings on multicultural undergraduate and graduate students with high academic standing. Interns assist with projects, network with industry leaders and volunteer throughout the program. She applied, got an interview and heard back from the organization two days later. “I had my roommate read the email to make sure it was real. I was very excited when I read the good news,” Karslioglu says. Karslioglu began the 10-week paid internship in May at the NASCAR Headquarters in Daytona Beach, Florida. Assigned to the NASCAR Foundation, Karslioglu worked with the marketing team to create content and graphics for social media posts on the foundation’s Facebook, Twitter and Instagram accounts. 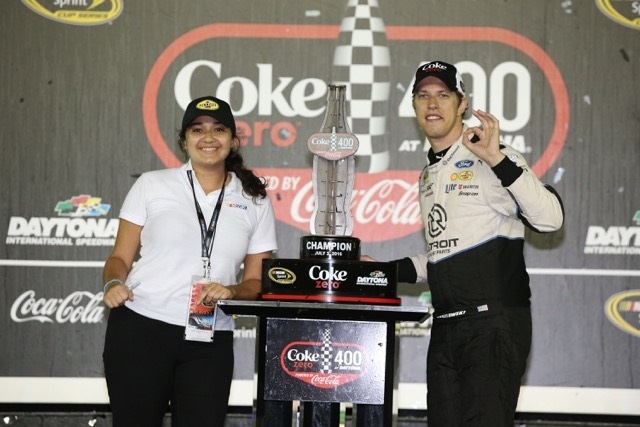 The program exposes college students to employment opportunities in departments within the sanctioning body or with organizations that NASCAR partners with to enhance the fan experience. Interns get a real look at the business behind the scenes and gain insights into possible careers. Karslioglu also assisted with the development team on fundraising initiatives, such as the placement of NASCAR pins and bands in Daytona Beach restaurants in exchange for donations. “I was also in charge of planning and executing a theme night at the Daytona Tortugas, a minor league baseball team, to generate awareness and fundraise for the NASCAR Foundation,” Karslioglu says. Along with the foundation activities, Karslioglu made it to the track and some of the sport’s most exciting events. She attended the NASCAR Sprint All-Star Race in Charlotte and the Coke Zero 400 in Daytona Beach, where she met NASCAR personalities in the garage, observed the NASCAR Sprint Cup Series cars go through inspection and watched the race right from pit road. Karslioglu enjoyed the opportunity and hoped it would lead to more experiences in the sport—and it did. She was offered, and accepted, a full-time position working with the NASCAR Foundation as a marketing coordinator in Daytona Beach, Florida. 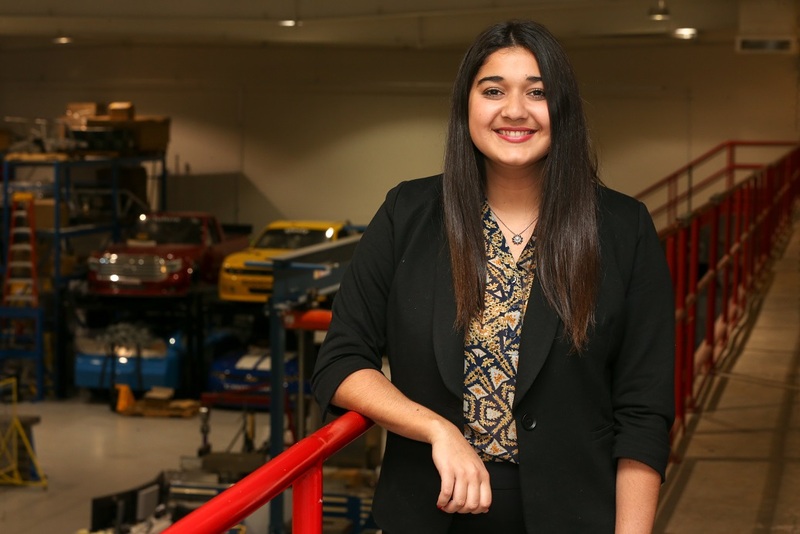 “This internship introduced me to the world of motorsports,” she says.